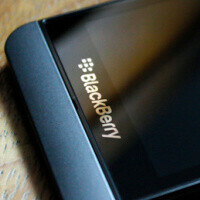 January 30 – that's the date every dedicated BlackBerry fan has marked in their calendar. That's when the upcoming BlackBerry 10 smartphones are to be officially unveiled, along with their features and specifications. At least two new handsets are expected to be announced on stage: the BlackBerry X10 with its hardware QWERTY keyboard and the BlackBerry Z10 with a full touchscreen interface. And since both of these smartphones are surely going to launch the U.S., it comes as no surprise that we are already seeing them pass through the FCC. Several days ago, a filing for a BlackBerry 10 device with AT&T LTE support was discovered, and now we see a counterpart of some kind getting the thumbs up by the commission. The new device, bearing a model name RFH121LW, is a smartphone running BlackBerry OS 10.0.9. According to the filing, it offers wireless hotspot functionality, along with all the standard connectivity features, such as GPS, Bluetooth and Wi-Fi. Unfortunately, that's pretty much all that the documents reveal, so we don't really know which one of the two BlackBerry 10 smartphones we're dealing with. But rest assured that we'll let you know as soon as any further information gets posted. First in line???? Like there is going to be a line for this product. I dont care if this web browser is the fastest on the market, the apps are sub par, the device is not very appealing, the processor chip is nothing to write home about....and it is a blackberry. The name alone scares people away now...sort of like a Windows phone. How do you know what the apps are like? Because it is readily avail;able for public sight. Problem with this sight is it is infested with fan boys who need someone to lead them to product knowledge which is readily available for public view. And this device will fail....just as the Windows phones everyone here was raving about FAILED...sales is the ONLY important number and Blackberry will never be able to break even for this. As far as failing i believe that's still in the air and not set in stone, windows phone was never appealing to me. And as far as i know, the only way to see whats in BlackBerry World (BB10 Appworld) you have to have a Blackberry 10 developer device, so unless you have one or know someone with such a device and they have let you go through the current crop of apps on there i think you're just speculating. The device's looks may not be appealing to you but everyone on earth doesn't have the same tastes as you. The processor is perfect for the mid level phone that it is (I'm assuming you mean the Z10). The os seems solid, what rim needs is decent pricing. From what i've seen so far the only thing that will contribute greatly to a failure is device cost. They better make this good or else they're done. Come on, BB. I want another competitor in the market. I have no idea how well rim will do, they are hurdles but people saying they will fail solely because they dislike RIM or because of past BlackBerry devices are complete and utter imbeciles. If this new generation of BlackBerry devices has excellent marketing the devices of the past will not deter consumers from this new generation BB10. I understand where you're coming from but, that's suzuki you can't compare cars flipping over to a limited smartphone OS like the ones pre blackberry 10. Its just not the same. The OS was limited before by the looks of it thats not the case in 2013, i see no reason why it would fail. Only the months after January will tell which of us is more accurate. I don't want them to fail, their new OS and Leaked specs for the Z10 have what i need in a phone. The price is all i'm concerned of. Umm, they still sell motorcycles very well, and by definition that is a vehicle. Looks Like A Droidx/x2 Bottom Panel Just Sayin!